Homebrew Home Brewing with Raspberry Pi « Adafruit Industries – Makers, hackers, artists, designers and engineers! 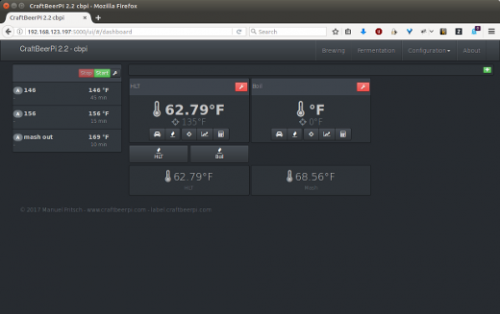 While the rest of us are forced to leave the house to obtain a tasty brew, beer master Christoper Aedo has incorporated a Raspberry Pi into his home brewing system for ultimate ‘sit-back-and-relax’ homebrew home brew. Having brewed his own beer for several years, Christopher was no novice in the pursuit of creating the perfect pint*. 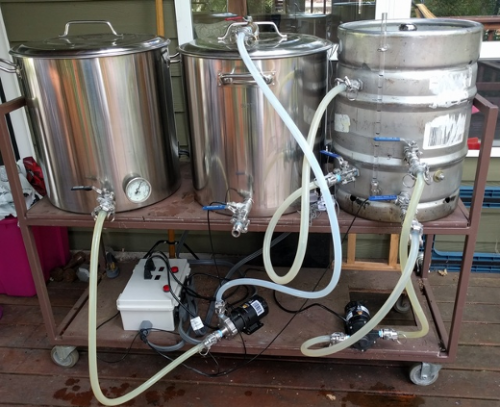 He was already brewing 10 gallons at a time when he decided to go all electric with a Raspberry Pi. Inspiration struck when he stumbled upon the StrangeBrew Elsinore Java server, and he went to work planning the best setup for the job. First, he set up the electrical side of his homebrew system using The Electric Brewing Company‘s walkthrough, swapping out the 12V solid-state relays for ones that manage the 3V needed by the Pi. Aedo then implemented the temperature sensors and controls of these relays. 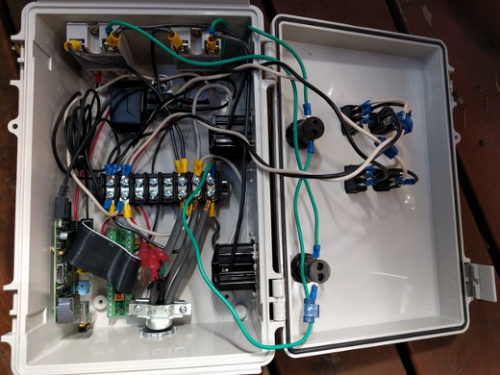 He used Hilitchi DS18B20Waterproof Temperature Sensors connected to a 1-Wire bus and learned how to manage the relays in this tutorial.